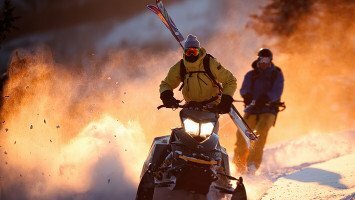 Japan, influenced by snow storms from Siberia, is the capital of the deepest powder you can imagine – “Japow”. Here it basically dumps every day, constantly delivering freshies. Japanese riders practically never ski icy snow, imagine. Japan is an assault on all senses - people and culture are amazing! We offer ski and snowboarding trips to Hokkaido, Hakuba and more. 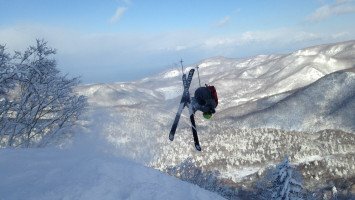 Japow, Shred it with LUEX! 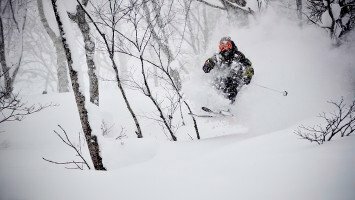 If you love powder skiing, Japan should be at the top of your must-visit ski destinations list. This exciting country, known in some ways as one of the most modern and innovative places on the planet, yet at the same time infused with centuries old traditions, provides the perfect setting for the skiing or snowboarding cultural adventure of a lifetime. 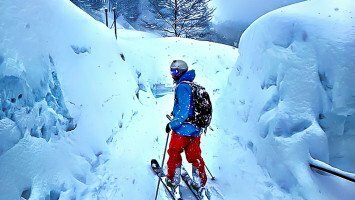 When you do add it all up: some of the biggest annual snow falls in the world, affordable trip prices, and countless ways to have a great time, you’ll understand why this place really is number one, or as the Japanese would say ichiban. 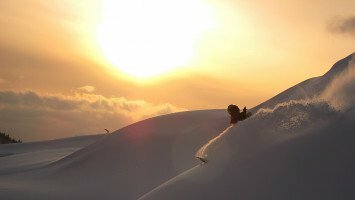 In Japan you can expect open spaces for cruising, steep and deep runs, awesome tree skiing, and some sweet spots for cliff dropping too. But the number one thing you go to Japan for is the powder. Due to the weather systems that flow over the main land and islands of Japan, cool winds from Siberia crossing over the Sea of Japan, you can expect plenty of the white stuff. On the island of Hokkaido, where many of Japan’s leading ski resorts can be found, the impressive annual snowfall sometimes totals as much as 20 meters. 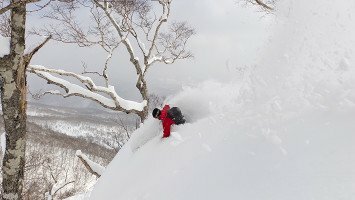 The snow in Japan isn’t just famous for its quantity though, it’s also about quality. On a ski trip in Japan you can expect to have your fill of loads of cold, dry, fluffy powder. playing in some of the best snow in the world while having a great time meeting new friends. Solo travelers, groups, people who like to party, and anyone that enjoys skiing or riding in the steep, deep, champagne powder will love Japan. If you’ve had enough of the crowds and are looking to escape the madness of waiting in long lines that you might deal with in other leading ski areas, Japan will also be a great choice for you. Don’t be fooled into thinking skiing in Japan is expensive because it is actually remarkably affordable compared to skiing at many leading resorts throughout Europe and North America and we offer both budget and medium-priced ski trips. 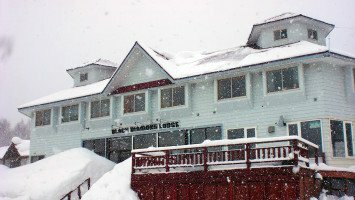 Accommodations for our Japan ski trips are typically in rustic hostel-style lodging in hotels or guest houses, which is a perfect setting for meeting other riders and skiers that really love their sport. Although skiing in Japan is all about the powder, your trip will be about a lot more than just snow because this is also the perfect place to enjoy amazing food and an excellent nightlife scene in some places. For those that want more than just a ski trip, Japan is also a great place to fully immerse yourself in a new culture, from trying out the language, to tasting new foods, and seeing new sights, there’s plenty to learn and love about Japan. Let’s count the reasons why Japan is an epic skiing and snowboarding destination: unbeatable prices, incredible food, fascinating culture, exciting travel and after-skiing activities, and some of the biggest and best snowfalls in the world.